← Favorite Look this Week + 3 More Shoe Options! For a while I have been on the search for a new foundation to help out my skin because the ones I have been using have been very heavy. So a few weeks ago I went to Ulta to see what they had and ask for recommendations. The employees were so nice to me and gave a mini facial to help cleanse my skin. They tried multiple foundations on my skin and cleansed it between each one. When I was stuck between two of them they put one on either side of my face so I could compare. After I chose one they evened out my skin with the foundation I chose and finished it with some powder. My skin felt so nice afterwards and I was so excited because I love my new foundation! If you’re on a hunt I recommend stopping by Ulta because I loved the customer service and I am so happy with my find! 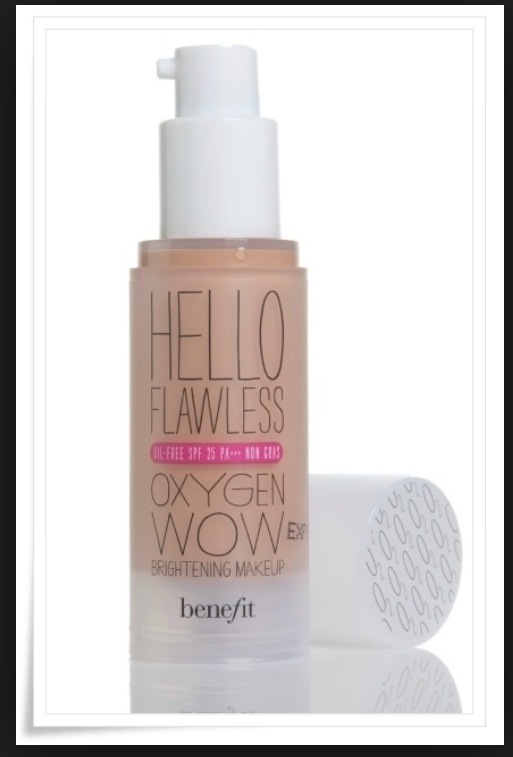 My new foundation is Benefit’s hello flawless foundation. It is so nice and airy on my skin and I only need to use a very small amount to completely cover my skin. I highly recommend this foundation!